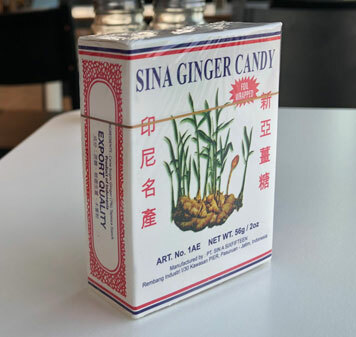 Sina Ginger Candy from Indonesia is made using all natural ingredients: a simple formula of ginger, cane sugar, and tapioca starch. 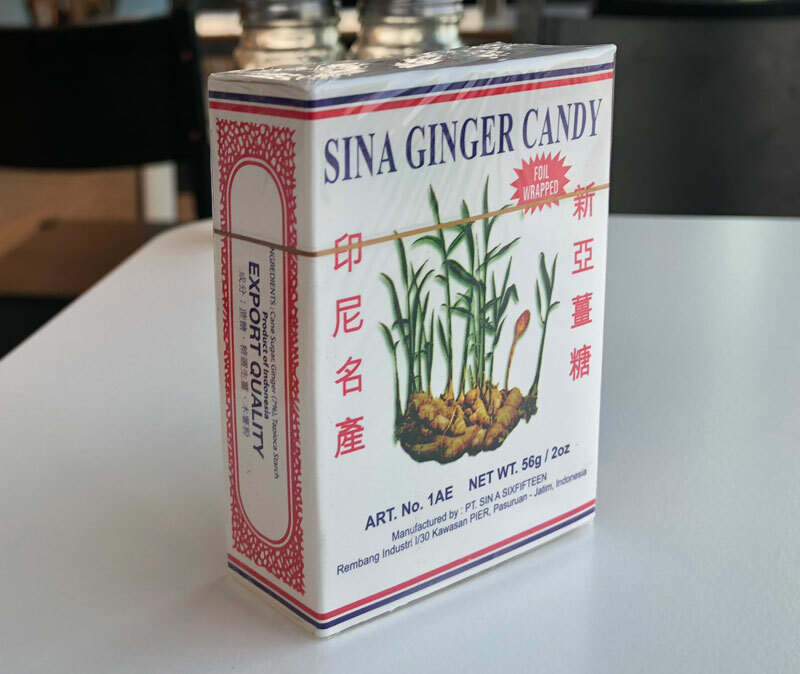 Ginger has long been known for a wide variety of health benefits: everything from helping with digestion, to a natural breath freshener, to an aphrodisiac. Each candy packed in a modern foil packet. You get 9 candies per box. We sell three boxes for $5.25 (27 candies). The nice box is about the size of a deck of cards. Smooth, chewy texture (slightly thicker and heavier than taffy), with excellent spicy taste that lingers after you've eaten it. For peace of mind & tranquility, you can also add 1 candy to a cup of hot water to make a soothing drink. Each candy is wrapped in a beautiful foil wrapper, and the candies are fairly large (1 candy is about the size of 2 gummy bears). Ingredients: cane sugar, ginger, tapioca starch.